Wayne Russell’s Combined Smash Repairs becomes Fix Auto Willetton and continues the growth story in Western Australia. 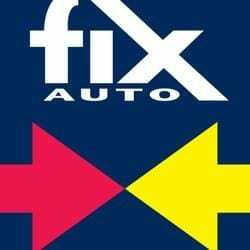 Fix Auto Australia announces the addition of Fix Auto Willetton, owned and operated by Wayne Russell, to the Fix Auto network, effective November 30th 2017. In 2004, 28-year industry professional Wayne Russell realised the entrepreneurial goal of purchasing his first panel shop. Following the business’ successful growth over the next 7 years, Wayne saw an opportunity to invest in building his own location. Since moving to new facilities, Combined Smash Repair continued to grow as a profitable collision repair centre with a solid reputation for quality and first-rate customer service. Even with a thriving business and a good reputation in his community, Wayne was aware of the ongoing trend toward consolidation in the Australian automotive aftermarket space and he knew he needed to find the right partner to help drive his business into the future. “I realised that my body shop needed to be part of a larger organisation. When I met with the Fix Auto Australia team and saw what the company has achieved globally, it became clear to me that Fix Auto is the leader in this industry,” he said.